Stanley Type 3 Jack Plane?? Home/HAND TOOLS FORUM/Stanley Type 3 Jack Plane?? I recently bought a Stanley Jack plane at a flea market. 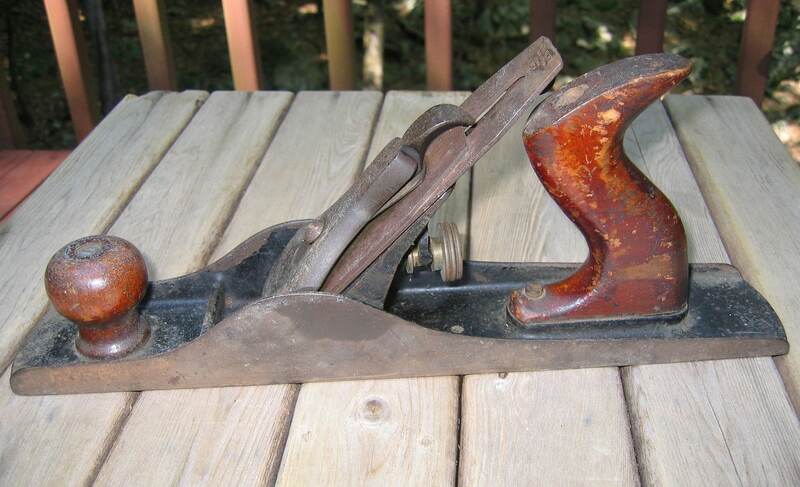 In researching it seemed to be a match for a type 3 (1872-1873) jack plane except that it has a corrugated bottom which Stanley didn’t produce until the 1890s. If my research is correct I know that parts of the plane can be assembled from different years. I think the plane blade is newer than the rest of the plane. The bottom of the plane is not flat so I would like to flatten it and clean it up a bit but don’t want to do too much restoring incase the plane has collector value. The Jack plane is 13 3/4” long, 2 3/8” wide and the blade is 2” wide.